College is very nice. But fee is very expensive. Good or bad both are there cant help it. Seshadripuram Law College, Bangalore is one of the most reputed colleges in the state. Established under the aegis of the Seshadripuram Education trust with the aim of imparting legal awareness and empowering the helpless in the society, the college is located in the heart of the city and is easily accessible. 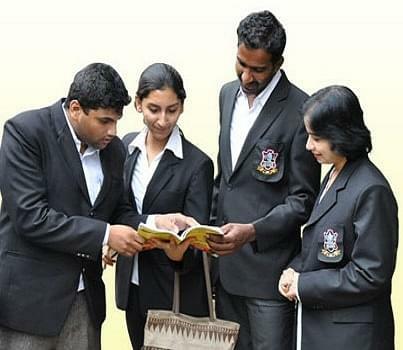 With a learned faculty of full time lecturers and senior Bar members along with guest lecturers, the institute offers an effective learning environment to the students. With a strict code of conduct to be followed by the students, the college has a policy of zero tolerance when it comes to flouting rules and regulations laid down by the administration. Scholarships – Along with the Government of India, the state government also provides financial aid to SC/ST and OBC students and meritorious students who excel in academics. Students who secure 100% attendance are also awarded with scholarships. Student Counseling Unit- In order to guide students in personal and academic matters, so that they can realize their maximum potential, the college has put in place a student counseling unit and a mentor system, overseen by the principal herself. Moot Court- The College has Moot Court Hall. To develope the skill of advocacy and to train the students in arguments. The Moot Court Competitions are held regularly. The Moot Court Committee conducts selection round to train the students.